Vossloh is a leader in switch and turnout technology, and now offering Rocla concrete tie solutions for all types of turnouts and crossovers. Pre-stressed concrete ties are the foundation of a strong and stable track structure making it ideal for many types of rail infrastructure applications, especially for turnouts, crossings and other special trackwork intersections. We offer pre-stressed concrete ties for all types of special trackwork, with experience supplying turnouts as small as #6, and as large as #32. We are the only North American concrete tie manufacturer that produces switch ties with 16 strands of reinforcement. This ensures our concrete switch ties are stronger than the minimal requirement, and the strongest overall in the market. 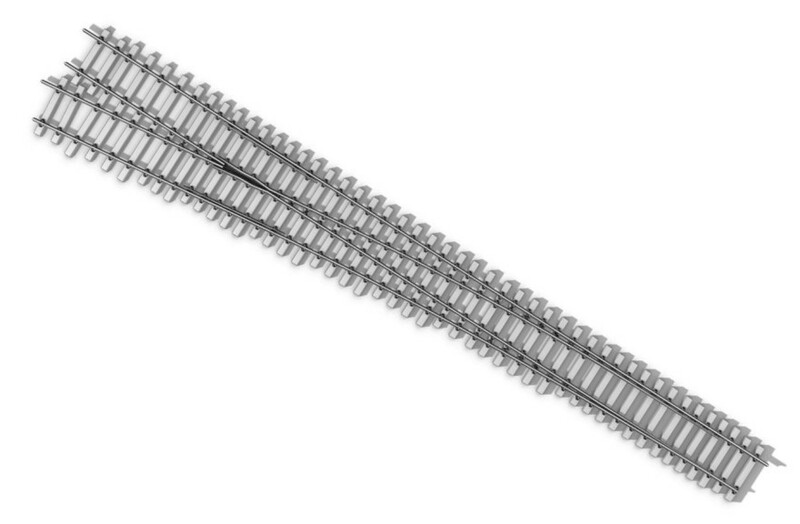 While most special trackwork projects are unique and custom in terms of engineering and production, we also offer a line of switch ties made to certain common lengths that can be mass produced, perfect for large standardized projects. Concrete switch ties are available with pre-assembly options that make installation at the job site more efficient. Each turnout (or trackwork unit) is laid out fully assembled with plates and fastening systems and then inspected by our Quality Assurance department as well as third party inspectors. While the turnout is assembled the rail is match marked and the Rocla concrete switch ties are color coded. The turnout is then partially disassembled, leaving the plating and fasteners intact as well as a fully assembled switch panel.